SciPy (pronounced “Sigh Pie”) is an open-source Python-based package of tools mainly used for scientific computing, mathematics and engineering. It is built on the Numpy extension of Python and it has a lot of useful modules for statistics, integration, optimization, linear algebra, Fourier transforms, signal and image processing, ODE solvers, and many more. SciPy runs on all major Linux based operating systems and its installation is quick and very easy. In this tutorial we will guide you through the steps of installing SciPy on a Linux VPS using the pip package manager. 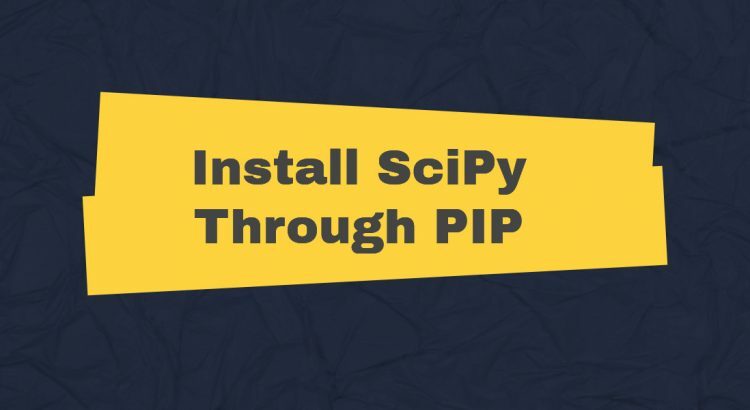 Of course, you don’t have to do any of this if you use one of our Software Installation Services, in which case you can simply ask our expert Linux admins to install SciPy through pip for you. They are available 24×7 and will take care of your request immediately.